Pretoria (VNA) - The ASEAN Pretoria Committee (APC) held a ceremony in the capital city of Pretoria on August 8 to mark the 50th founding anniversary of the association (August 8, 1967). The event was jointly organised by embassies of ASEAN countries in South Africa, namely Vietnam, Indonesia, Malaysia, Myanmar, the Philippines, Singapore, and Thailand. Indonesian Ambassador to South Africa Suprapto Martosetomo, who is currently President of the APC, reviewed the establishment and development of ASEAN over the past five decades. 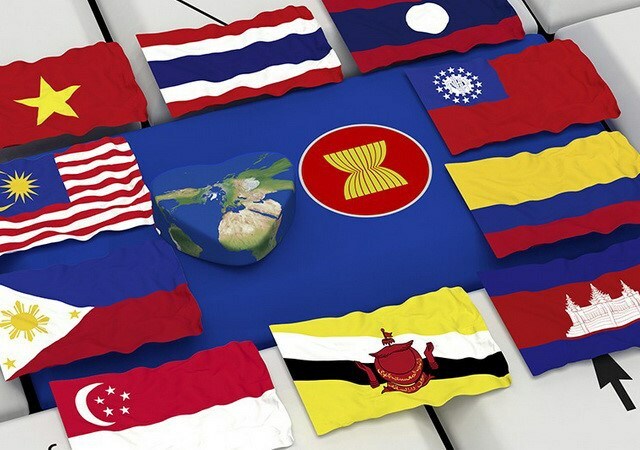 He noted that from the first five members, ASEAN has developed into a 10-member bloc which is connected in terms of politics and economy while enhancing cooperation with external partners. ASEAN has affirmed and promoted its central role in addressing regional and global issues via peaceful measures and dialogues in line with international law, he stressed. Particularly, the association has always maintained peace, stability and common development over the past 50 years, he added.